located on the corner of Dunn and Elliot Streets. The coastal New England village of Thomaston is noted for its impressive nineteenth century architecture. 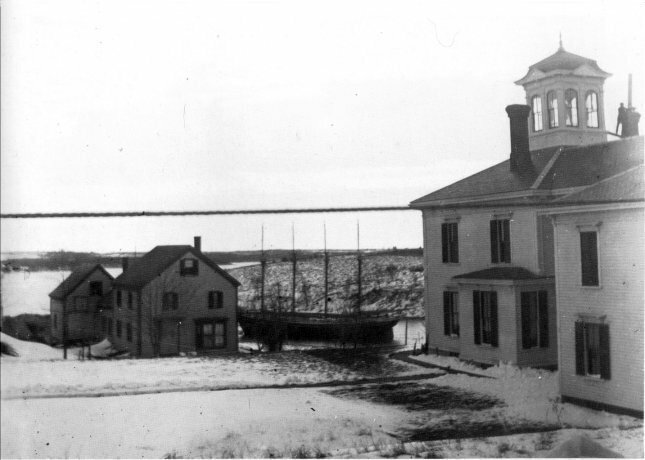 During this century more than 100 sea captains populated this seafaring town where they built their homes as soundly as their seagoing vessels. By the mid-nineteenth century, the popular Greek Revival style of architecture was replaced by alternative styles such as Gothic Revival and Italian Renaissance. Bringing attention to their success as world entrepreneurs, sea captains often built impressive homes featuring the most fashionable new styles. 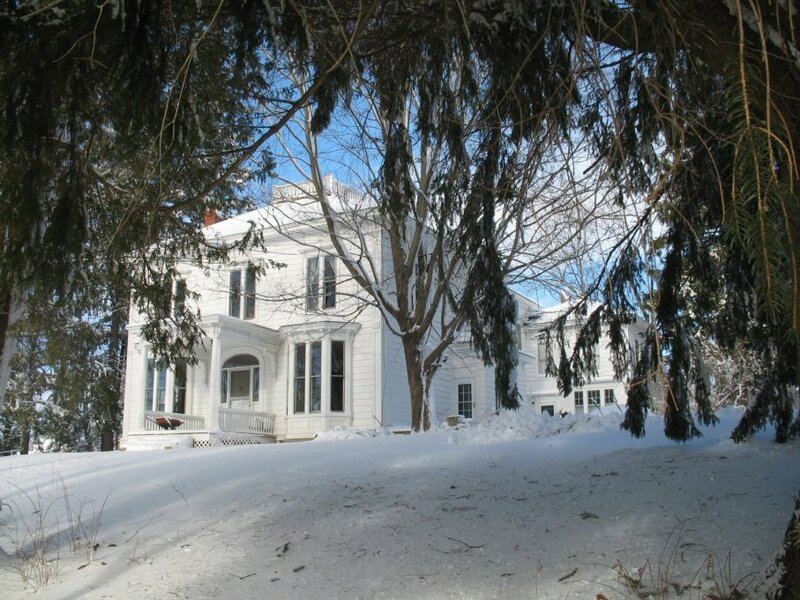 Within six years of occupying this beautiful home, 54 year old Captain Willey was lost at sea with all aboard his ship, Alfred P. Snow, off the coast of Ireland. His wife, Cordelia, died in 1913, and their son, Captain Walter Willey, sold the house to Captain Arthur J. Elliot four years later. Known by townspeople as "Captain Arthur", Captain Elliot was a member of the well known Dunn & Elliot sailmaking and shipbuilding families and was one of the last of Thomaston's noted seafaring captains. At one time first mate of schooner David H. Rivers, he became captain of the Phineas W. Sprague in 1899. In 1923 he sold the basquentine Reine Marie Stewart, the last of the world trade vessels built in Thomaston. The Reine Marie was built by Richard, Arthur and Frank Elliot in 1919 at a cost of more than $200,000. This beautiful Federal Period home, built in circa 1843 for John A. Willey, later became the home of Captain Arthur Elliot. The dining room in this house features a huge built-in glass fronted dish cabinet. The living room has a section that juts out about eight feet from the otherwise straight wall. The area was used to hold a coffin during the wake period prior to a funeral. This part of the room is surrounded by windows on all three sides to keep the temperature as cool as possible and it is always a north facing section in a home. 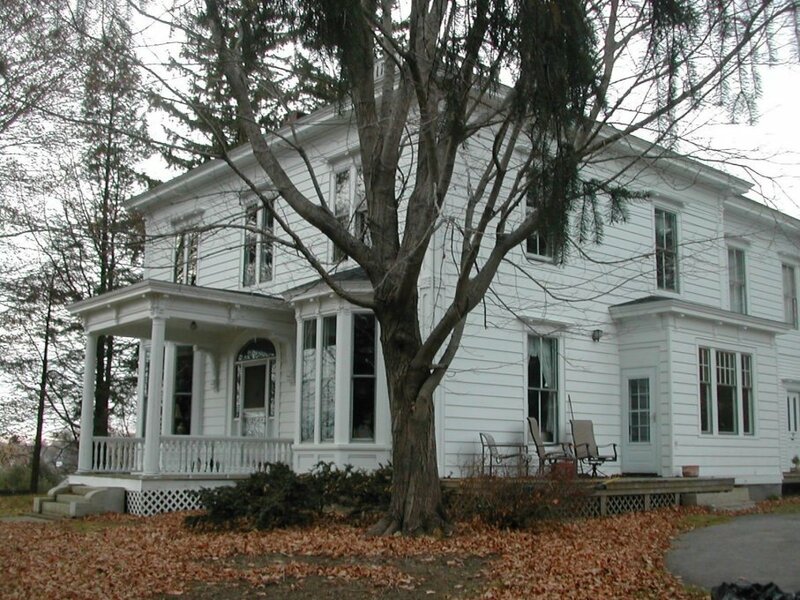 Several houses in Thomaston have such a space built into it as deaths, especially the deaths of children, were very common during the nineteenth century. The home is presently owned by Stephen and Ursula McCarthy.